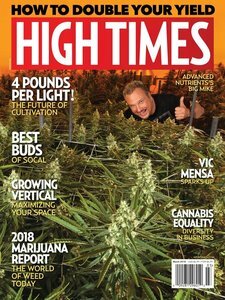 High Times Magazine ist eine amerikanische Zeitschrift und erscheint 13 mal im Jahr. Der Preis für ein Jahresabonnement beinhaltet die Zustellung nach Deutschland, Österreich und in die Schweiz. High Times Magazine has been the chronicle of the counterculture for almost 30 years. Through its regular features on marijuana cultivation and use, ongoing coverage of the fight for cannabis legalization, and profiles of controversial and provocative personalities, High Times strives to celebrate, defend and preserve the spirit and energy of alternative society. Privacy Promise: All subscriptions are mailed in discreet, plain packaging.